Headlining the 2019 event will be Norwegian black metal icons MAYHEM – one of extreme metal’s most controversial and influential bands. The band will perform a special ‘Demon Anthology’ show which will be an extended set combining their greatest songs from all of their albums. 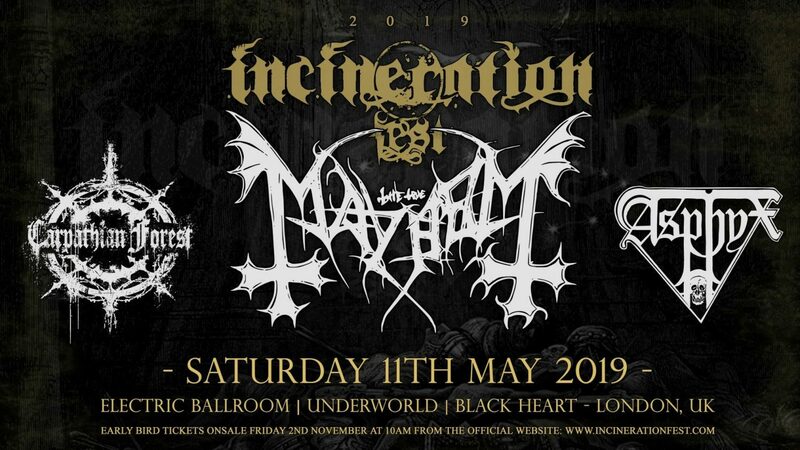 This will be the only UK performance of Mayhem in 2019.